General H. Norman Schwarzkopf, his wife Brenda, my wife Karen and me. 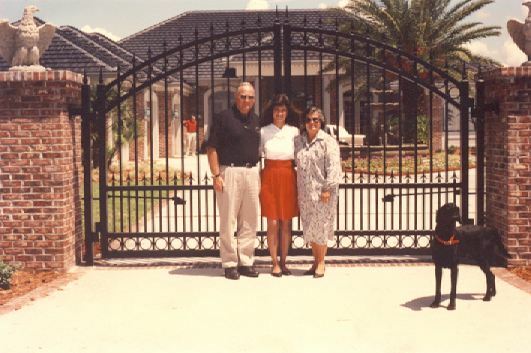 I'm Vinnie Tripodi, owner of Tampa Bay Custom Welding - TBCW - we built 800 feet of heavy gauge welded aluminum fence and front entrance gates for General and Mrs. Schwartzkopf at the end of the Gulf War. Five years later they moved and asked us to do the fence and gates at their new home. We of course said yes. 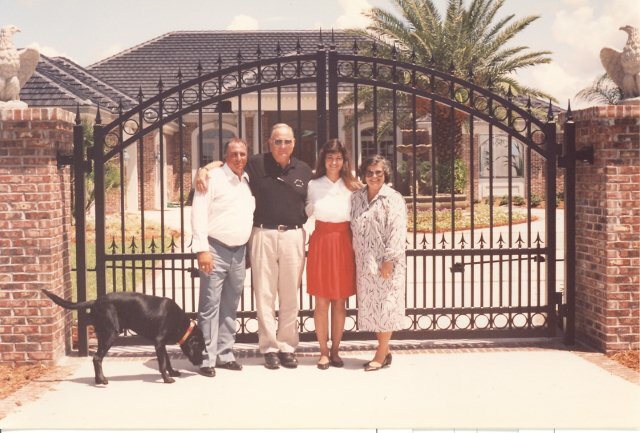 My wife Karen and I have visited with General and Mrs. Schwartzkopf at their home many times over the years and they have always treated us like family. Karen and I will always cherish their friendship. They are truely wonderful people. 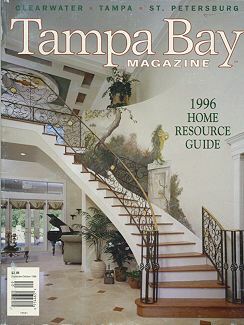 Tampa Bay Magazine used one of our interior staircase railings on the front cover of the 1996 Home Resource Guide (Sep-Oct Issue). Railings were built for Campagna Homes for their Model Home at Wentworth. 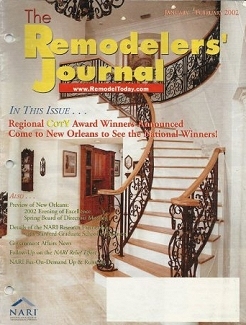 The Remodelers Journal used one of our railings on the front cover of their January- February 2002 issue. The railings were built for builder Dan Ashline. Tampa Bay Custom Welding creates elegant sophistication, with iron and aluminum for your home. Wrought Iron: There's probably no other accent material that makes the kind of rich, elegant statement inside or outside your home. No matter where it's used, wrought iron sets a tone of sophistication. 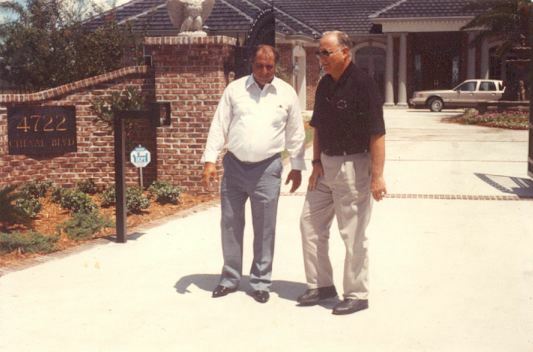 When it comes to designing, creating, finishing and installing top quality iron work, Tampa Bay Custom Welding boasts a 23 year track record of excellence. 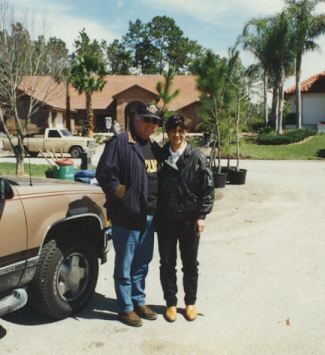 Vinnie and Karen Tripodi, owners of TBCW, started the business in February of 1987. Vinnie began welding in February of 1971. Vinnie's 39 years of welding experience included making many critical, 100% x-ray, welds on power plants, including welding on the nuclear power plant in Crystal River unit #3. Vinnie worked at the nuke for 2 years, helping keep the power plant running properly. Vinnie has certified on countless welding procedures, including many nuclear welding procedures. Vinnie has also worked as supervision from foreman to project superintendent. 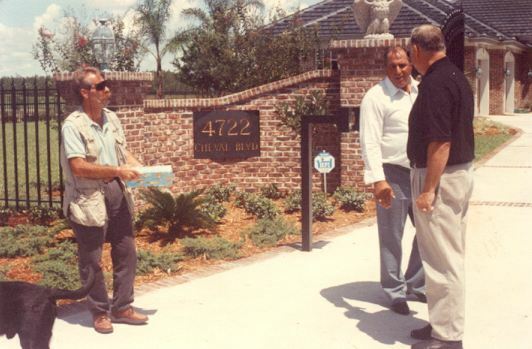 He built a Liquid Air Plant in Orlando and was project superintendent on a power plant at Crystal River where he was responsible for getting a power plant back on line for Florida Power. Vinnie said he worked closely with Florida Power's top engineer, Dennis Dingle, to make that happen. Vinnie and Karen decided to use their experience and expertise to open their own business, creating some of the finest iron and aluminum work in the industry. TBCW works with tig (heli arc) welded iron and aluminum, building spectacular railings for staircases and balconies, spiral staircases, gates, fence and accents for entrance doors, arches, windows etc. using accents such as brass, 23k gold leaf and beautiful faux finishes such as antique bronze, antique copper, antique gold, pewter etc. TBCW has been called on to build railings for the personal residences of 10 builders living in our area, between Pinellas, Hillsborough, and Sarasota Counties. 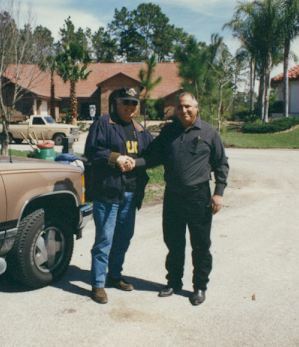 We have also been honored to work for some very special people, but at the top of our list is General Norman Schwarzkopf and his wife Brenda on two different homes. The first home was just after the Gulf War, and the second home was 5 years later. We have developed a personal friendship with the General and Mrs. Schwarzkopf and for many years have visited with them in their home around the Christmas Holidays. They have always treated Karen and I like family. They are truly wonderful people. We have also done work for congressmen, judges, lawyers, doctors, automobile dealers, sports figures, radio personalities, business owners and many other wonderful people. Karen and I work closely with each customer to be sure we are building exactly what they want, because every time they walk through their front door, we want them to be delighted with the work we have done, and the railing to be exactly what they had envisioned.